Thank you so much for your continuing support of Project Chacocente! Your support is truly making a difference in the lives of the children, the families of Project Chacocente, and the families in the surrounding communities. People in Nicaragua are beginning to refer to the Project and the surrounding area as Chacocente! 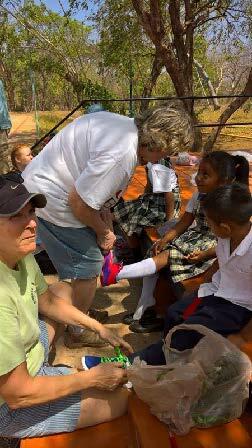 In February of this year the UMC Genesee Valley District mission team helped fit all 160 school children with new Nike sneakers donated by West Unity United Methodist Church, West Unity, Ohio. Pictures were taken of each class wearing their new shoes. 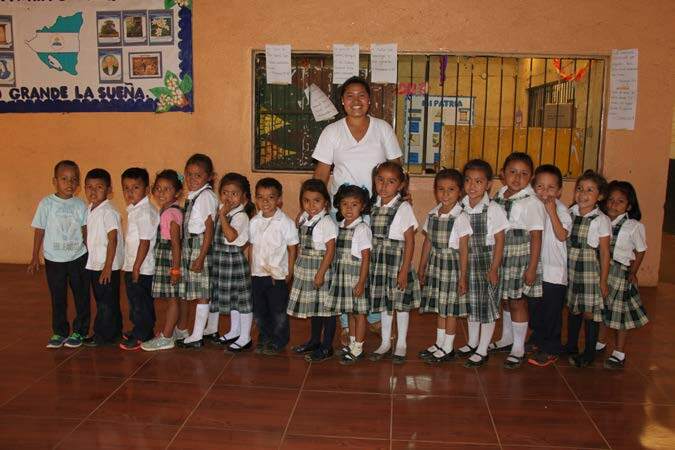 Here is the Pre-School class showing off their new shoes followed by a class picture with their teacher, Marisela Sánchez, in the refurbished auditorium. It was quite a task to match the children with the correct size shoes. Measurements had been taken in December, but that did not always translate into reality when the shoes were delivered in February. The delegation worked very hard to find the right fit and make everyone happy! Note: Several of you have asked about communicating directly with the children electronically. We are working with the staff to set up a way to facilitate this. We will let you know how this will work as soon as we have worked out the details. Note! If you have not yet donated toward sponsoring your child in 2016 please do so in the very near future. If you have any questions about your sponsorship please contact me at the above address. Please let us know also if you are no longer interested in or are unable to continue sponsoring a child. 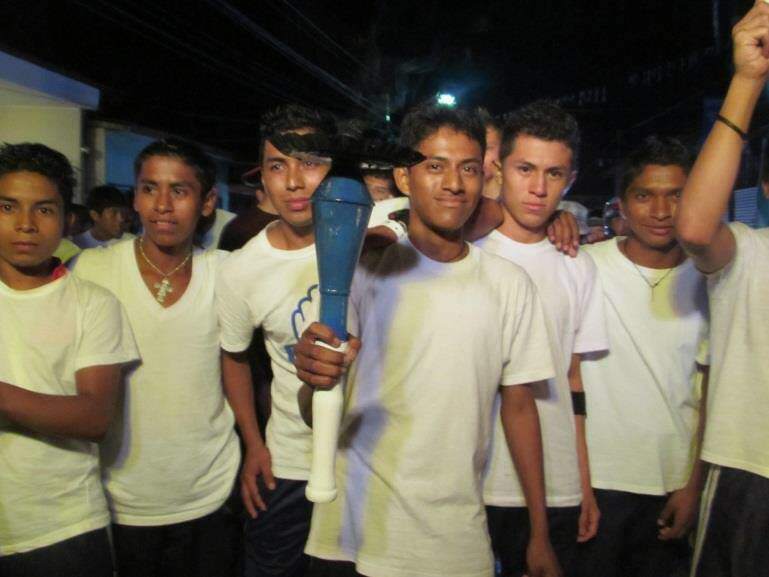 Jimmy is holding the torch he carried as part of Nicaragua’s Independence Day Celebrations. Several young people and adults at Project Chacocente are also interested in furthering their education through advanced English classes, and we want to help them! Education will increase their self-esteem and job marketability. Can you help? Partial scholarships, as well as full scholarships, are greatly appreciated. A full scholarship for students studying English at the University of Central America is $65 a month and covers the cost of tuition and assists with the cost of transportation to the university in Managua. If interested, please email projectchacocente@gmail.com or call Robyn at 585-752-9070. We are very proud of the devotion and expertise of all of our teachers. Aiming to provide academic opportunities far above those available at state-run schools, we hire only qualified, capable teachers. We recognize that most teachers in Nicaragua are grossly underpaid (often earning less than sweat shop workers), and we are committed to fairly compensating our employees. We’re hoping you will help us! Please consider sponsoring a teacher. Your $500 monthly sponsorship (or $6,000 annually) will better the lives of not only the teacher but also the lives of his or her students. Join together with friends and churches to truly make a lasting effect. For more information and further updates, visit the Project Chacocente website, www.outofthedump.org or “Like” our Facebook Page (not Group) at Friends of Project Chacocente. 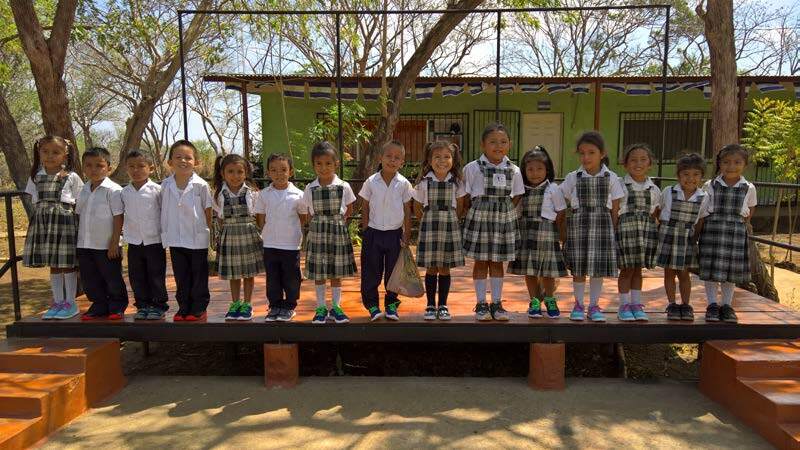 Thank you for your continued support of Chacocente Christian School. Remember to always label any donations with the child’s name and payment period on the memo line for sponsorships or whatever the donation is to be used for. For example, teacher salaries, school lunches, sponsorship fees, or the general budget, or you may wish to include a note explaining your donation. Project Chacocente USA is a 501 (c) (3) tax exempt organization. Donations may be sent to Project Chacocente, USA, P.O. Box 128, Lexington, Massachusetts, 02420. If you are making payments through PayPal, note that PayPal charges a fee for using their service. If you are able, please add 2½% to your donation to cover this fee.